Jesus and Moses are given equal time but the author makes a very clear distinction between the two of them. I love this painting by Raphael which is in the rooms leading up to the Sistine chapel. 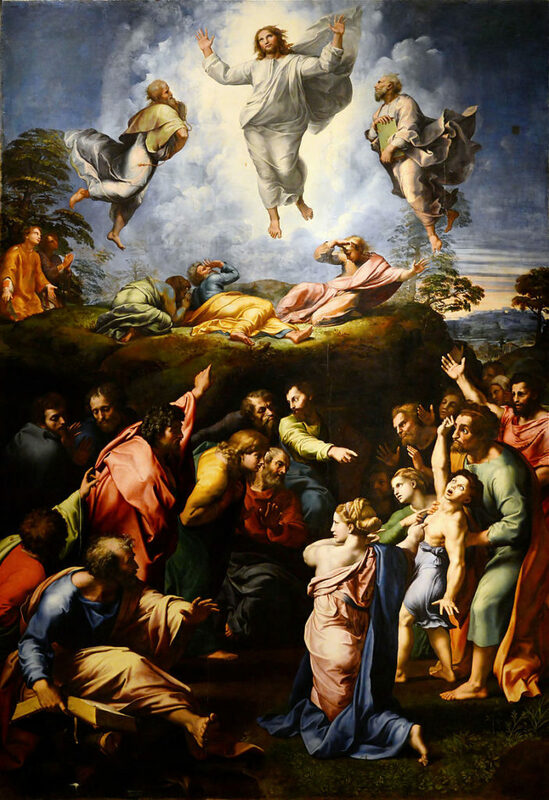 It is the transfiguration of Jesus which can be found in Matthew, Mark, and Luke. You see Jesus and Moses in the same space, with Jesus obviously taking a larger and more important place than Moses. The author of Hebrews states as much. This is crucial. Jesus is not another Moses. Jesus was God. John 1 states as much, Hebrews in this chapter states as much. Moses is the house and Jesus was the builder. What a great image for all of us. We are the houses which God builds and then we are able to contain all that God sends us through his Holy Spirit. The author warns us that if the Israelites, who had every opportunity to see the face of God and see His hand at work, hardened their hearts against him, then we have to be aware that it could happen to us. Those who left Egypt under the leadership of Moses had the opportunity to see God in ways that none of us may have ever seen him. They saw the plagues, they saw the red sea parted and they were able to cross on dry ground while the army of Pharaoh was drowned, they saw the pillar by night and the cloud by day, they saw the quails, they saw the manna. All of these things were miracles and signs of God's existence. How could they harden their hearts? But they did. What have we seen? We have seen our children born, our needs met miraculously, God intervening on our behalf, jobs coming through, financial hardships overcome with miraculous gifts, spouses identified. When have you seen the hand of God at work in your life? Have we hardened our hearts just because of the business of life? Have we hardened our hearts because, well, life goes on? We are no different from the Israelites. Even though they were able to see miracles that may not be on display today, we have received our fair share of God moments and miracles. This warning is for us as well.